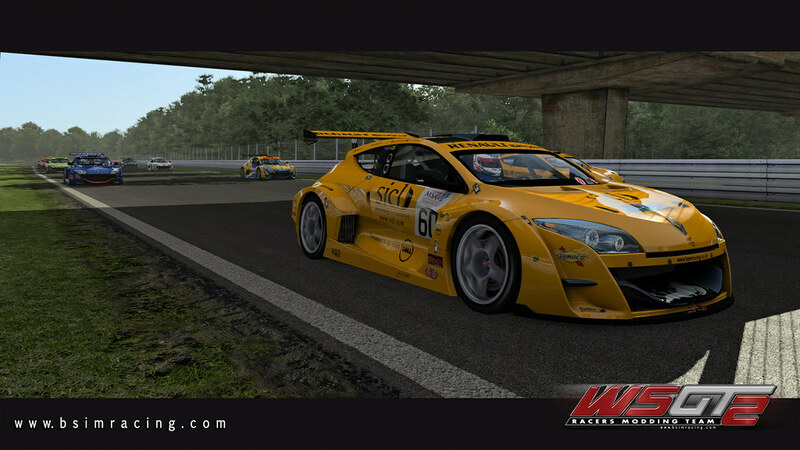 After the release of the latest Image Space Incorporated Build of rFactor 2 we have updated the component of the Megane Trophy V6 mod to Version 1.1. 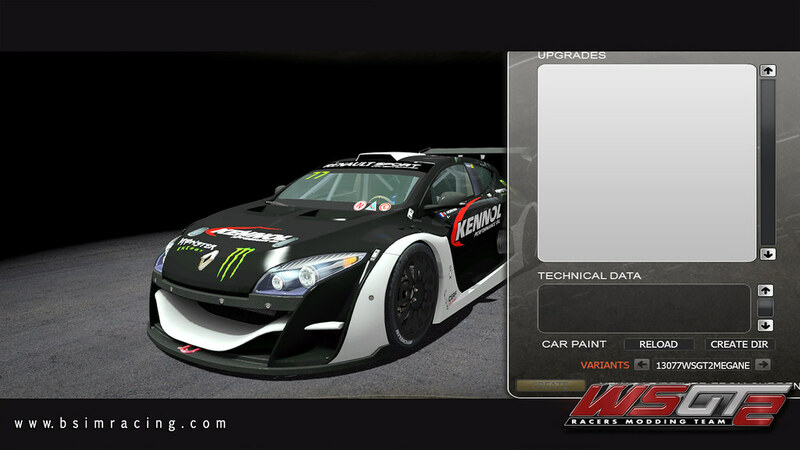 With the release of Build 494 we noticed some issues with the mod transparency and shading settings. 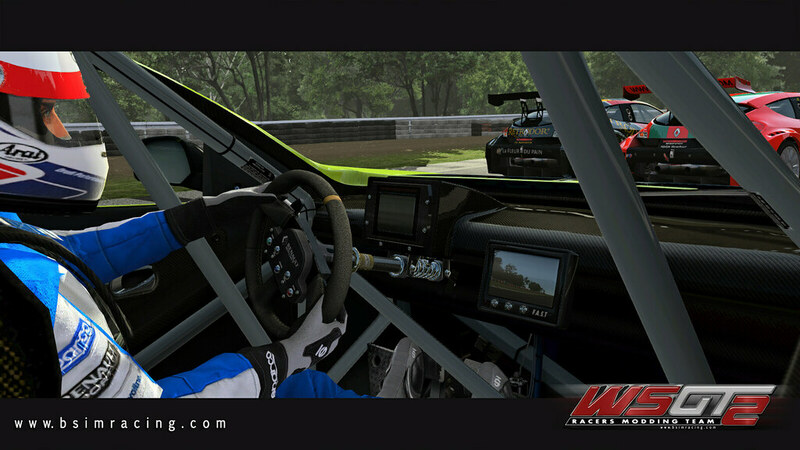 During the process of updating these issues we also fixed the alpha channel bleeding on the front window that might show while driving on certain tracks. 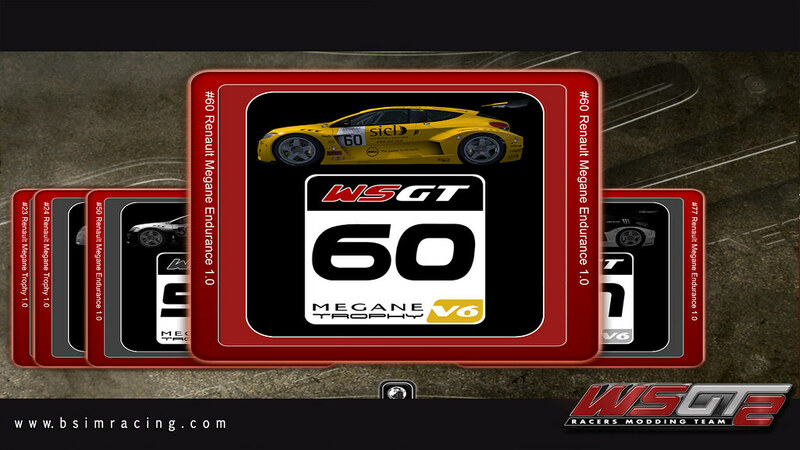 Further more we changed the file naming because of some request made by racing leagues who are using the WSGT2 Megane Trophy in their racing Series. 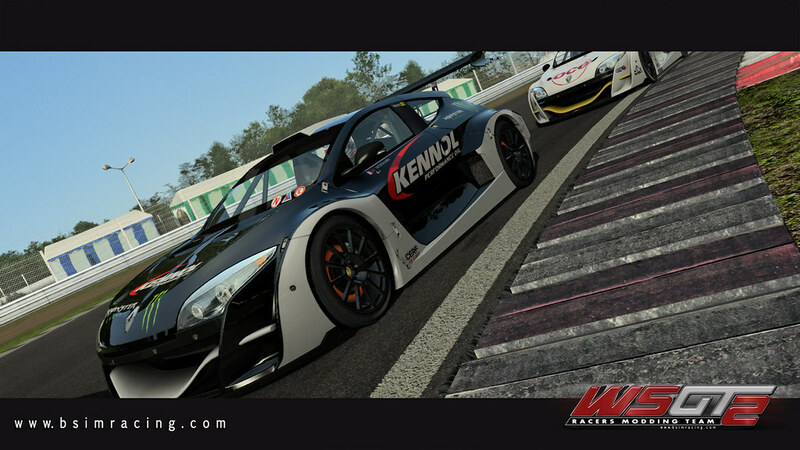 Racers Modding Team will update the package when required. 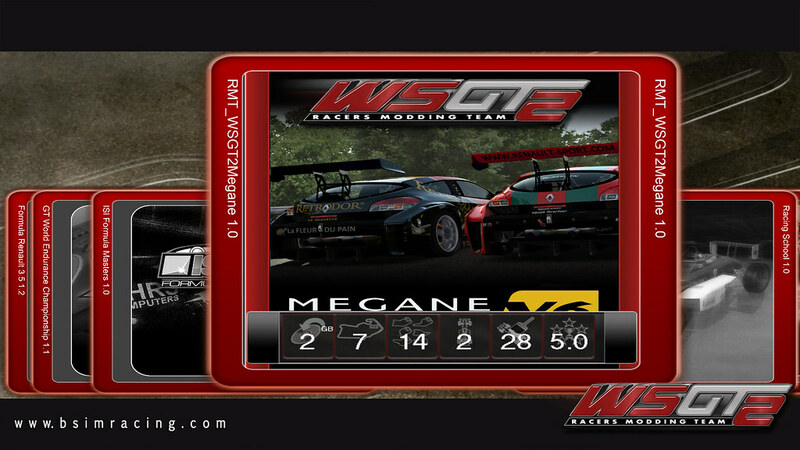 Users are encouraged to delete any old version of the WSGT2 Megane mod and re-install using V1.1. 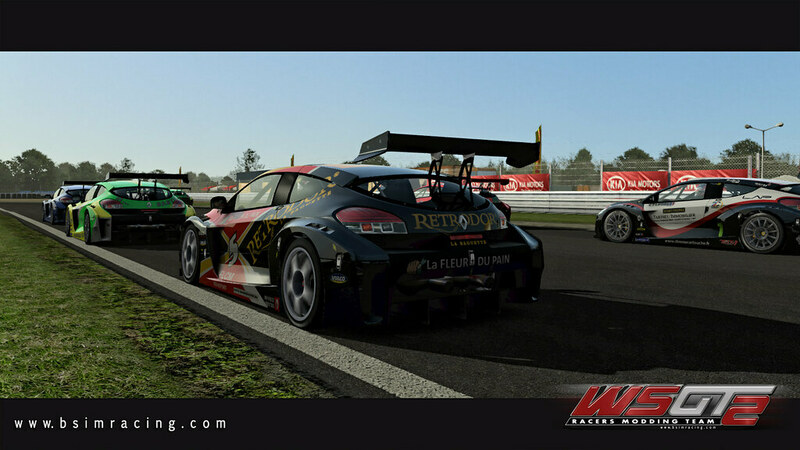 The Renault EurocupMegane Trophy is a one-make racing series created and managed by Renault Sport. 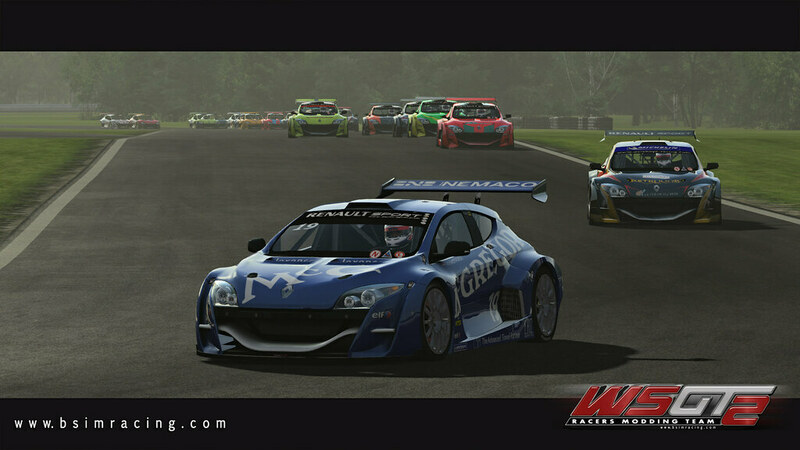 The series has raced with the Renault Megane Renault Sport since 2005 as part of the World Series by Renault. The Renault Eurocup has run with various models under differing names since 1976. 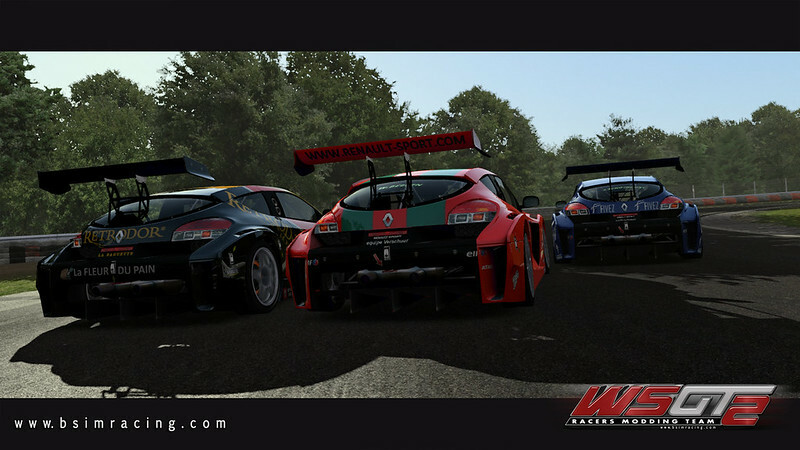 The Component package features a full car set for the 2009 Eurocup Megane Trophy season and a selection of Endurance-spec Megane Trophy cars as they are raced around the globe. 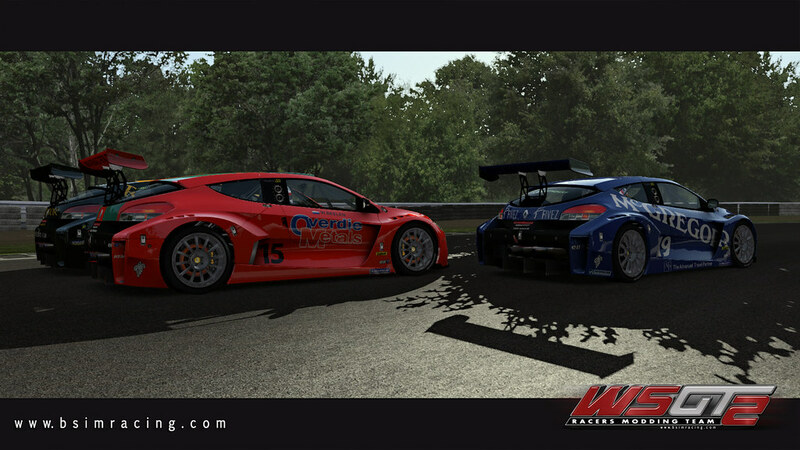 The endurance spec Megane is lighter and more powerful than the Eurocup version of the car and also features a bigger 100 ltr. fuel tank.